Copper Hill Strategies knows that each client is unique and there is no one-size-fits-all approach to successful government relations and public policy advocacy. We take the time to learn the specific needs of each client and design a strategy best-suited to meet those needs. Copper Hill provides personalized attention with expert results. Copper Hill utilizes its extensive experience to provide federal and state government relations, consulting, and lobbying services. We are a voice for our clients, professionally and effectively advocating their public policy objectives. The key to effective advocacy is strategic planning. Copper Hill assists our clients by mapping out a plan designed to successfully shape the public policy debate and produce results. 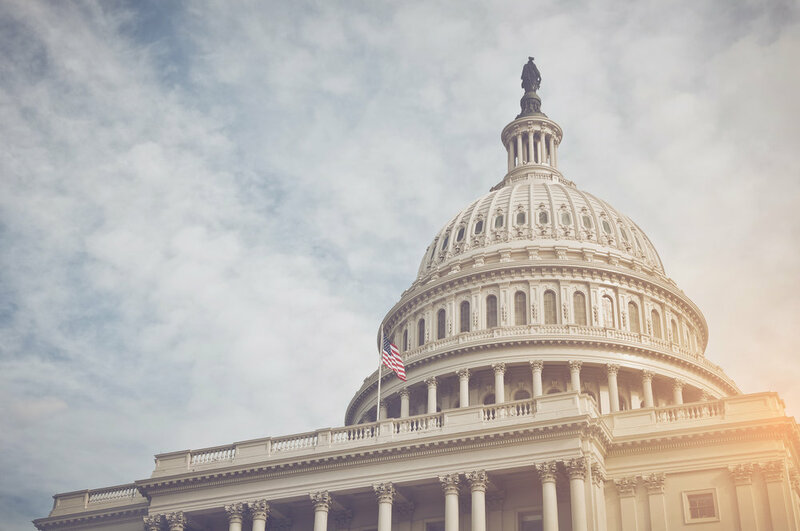 With years of experience drafting some of the most complex bills in Congress, Copper Hill has the expertise to assist clients with developing federal and state legislative and regulatory proposals that achieve the optimum outcome. Effective messaging and strategic business relationships are key to establishing and growing your business. Copper Hill assists clients with a wide range of business development opportunities. Caroline Lynch is the founder and owner of Copper Hill Strategies, LLC. She has fifteen years of Capitol Hill experience, including a decade with the House Judiciary Committee where she served for eight years as the Chief Counsel of the Subcommittee on Crime, Terrorism, Homeland Security, and Investigations. As Chief Counsel, Caroline was at the forefront of developing some of the most high-profile privacy, cybersecurity, national security, and criminal laws of the 21st Century. She authored dozens of pieces of legislation and developed strategies to successfully shepherd those bills through Congress. She utilizes her expertise in public policy and the legislative process to provide client-focused government relations, strategic planning, and legislative development services. Prior to joining the Judiciary Committee, Caroline served as Chief Counsel of the House Republican Policy Committee, Deputy County Attorney for the Maricopa County Attorney’s Office, and Clerk for the Arizona Court of Appeals. She previously served in the personal office of former Congressman John Shadegg from 1996 to 2000. 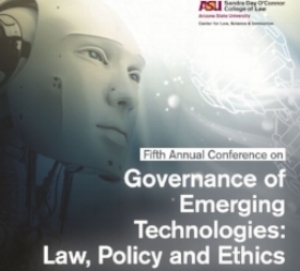 Caroline is a member of the Maricopa Community Colleges Foundation Board, the Phoenix Committee on Foreign Relations, the Arizona Women Lawyers Association, the Arizona Technology Council, the ASU Center for Law, Science & Innovation Community Board, the ASU Law Blockchain Group, and the KU Blockchain Institute Industry Advisory Board. She has guest-lectured at the Sandra Day O'Connor College of Law, the Texas A & M University School of Law, and the George Mason University Antonin Scalia Law School. Caroline is a 2003 graduate of the Arizona State University Sandra Day O’Connor College of Law. Copper Hill Owner, Caroline Lynch, spoke to aerospace industry leaders about the “Good, the Bad & the Ugly: Cybersecurity Legislation in the 116th Congress” at the Americas Aerospace Cluster event at ASU Skysong. Copper Hill Owner, Caroline Lynch, moderated a panel discussion on Fintech and Cryptocurrencies at the Arizona Technology Council’s Third Annual Cybersecurity Lunch Forum at ASU Skysong. Copper Hill Owner, Caroline Lynch, has been named to the newly-formed Industry Advisory Board at the University of Kansas Blockchain Institute. Copper Hill Owner, Caroline Lynch, provided an overview of the state and federal legal and regulatory framework governing blockchain and cryptocurrency technology at the APPA 2018 Legal and Regulatory Conference in Charleston, SC. Copper Hill Owner, Caroline Lynch, discussed with students at the ASU College of Law the federal and state regulatory hurdles facing tokenized blockchain innovators in the U.S.
Copper Hill Owner, Caroline Lynch, joined Arizona Attorney General Mark Brnovich and leaders in the Arizona technology community on stage at the AZ Tech Innovation Summit to watch Governor Ducey sign HB 2434 into law, creating the first regulatory sandbox in the United States to allow fintech and blockchain innovators test their products in Arizona. Copper Hill Owner, Caroline Lynch, participated in a panel on federal sentencing reform at the Searching for Justice: Modern Issues in Criminal Justice Reform Symposium hosted by the Texas A&M Law Review. 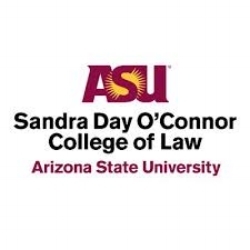 Copper Hill Owner, Caroline Lynch, discussed with students at the ASU College of Law the Foreign Intelligence Surveillance Act (FISA), Section 702 of the FISA Amendments Act, and the recent enactment of the FISA Amendments Reauthorization Act of 2017. Copper Hill Owner, Caroline Lynch, outlined the federal and state regulatory and legislative landscape that virtual currency and blockchain innovators are confronted with today at the first in a series of discussions hosted by the ASU Center for Law, Science, and Innovation. Copper Hill Owner, Caroline Lynch, named to the Board of Advisors to disruptive cybersecurity technology innovator infOsci, LLC. Copper Hill Owner, Caroline Lynch, joined a panel of national security experts to discuss FISA 702: A Discussion of the Legislative Landscape at the American Bar Association's 12th Annual Homeland Security Law Institute in Washington, D.C.
Copper Hill Strategies joins blockchain innovator Sweetbridge, Inc. as a public policy and legislative advisor providing federal and state government relations and regulatory services. Copper Hill Owner, Caroline Lynch, presents at the Arizona Telecommunications & Information Council's 8th Annual Public Meeting in collaboration with the Arizona Cyber Threat Response Alliance (ACTRA) and Arizona Infragard on "Congress and Cybersecurity: A Forecast of Legislation Congress Will or Will Not Move"
Professor Gary Marchant, Faculty Associate K Royal, and Attorney Caroline Lynch join us to talk about privacy issues. Below is a summary of a few of the high level issues that Congress may address in ECPA reform beyond establishing the warrant-only standard for criminal investigations.